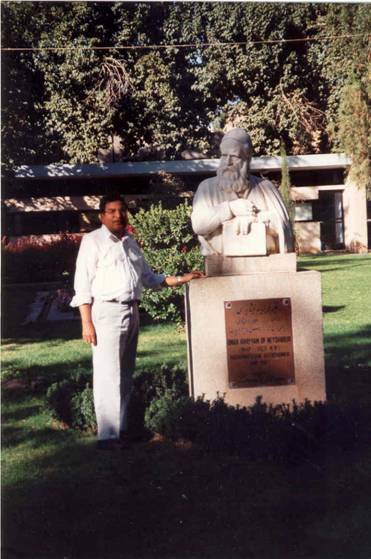 Omar Khayyam tomb in Nishabur, Iran, 1994. Image � K.V. Mardia. See also the article on Omar Khayyam, Ren� Descartes and Solutions to Algebraic Equations.